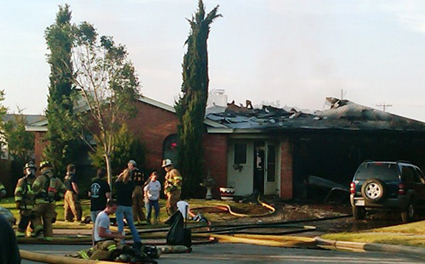 Fort Worth Fire Restoration - Fort Worth Fire damage Contractor - Fire Damage Clean up - No Problem Services!!! 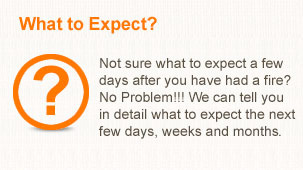 Visit www.noproblem.us to see other services we offer. Day of the fire, after the fire department leaves the house. Do not enter the house unless the fire department tells you it is safe to enter. Sometimes this requires an engineer report, This will be obtained by No Problem!!! or the insurance company depending on the insurance company and how they handle the claim. Call insurance company and start a claim. Make sure to get a claim number before hanging up the phone. If the house is safe to enter, try to get your insurance binder, this will have all the numbers you need and the policy number when making the call. Call No Problem!!! to come out and board up the open windows, doors, roof, fence that was damaged by fire. We will come out and take care of the house to make sure that no one can enter. We will place a lock box on the front door. This will allow you, the city, insurance adjuster and No Problem!!! to access the house during the next few days without you having to be at the house for all of the people. If during business hours call your mortgage company and let them know you had a fire, give them the claim number and your insurance company information. Call power company and let them know the house had a fire. Depending on the size of the fire, the fire department may have already had the power company come out to the house to pull the meter. If they did not pull the meter, then it may not require the power company to remove the meter. It depends on the severity of the damage. Usually the fire department makes the decision to have the meter pulled. Call the gas company and let them know the house had a fire. Depending on the size of the fire, the fire department may have already had the gas company come out to the house to pull the meter. If they did not pull the meter, then it may not require the gas company to remove the meter. It depends on the severity of the damage. Usually the fire department makes the decision to have the meter pulled. The insurance adjuster may call you today to set up a time to look at the loss. if they do, call No Problem!!! and have us meet you at the house. If fire was not during business hours, call your mortgage company and let them know you had a fire. Give them the claim number and your insurance company information. Again, do not enter the house if the fire department has not said it is safe. Go to the house and take as many photos of the damage as you want. This is not an easy thing to do. If it is safe to enter, it is ok to remove photos, documents and other items. 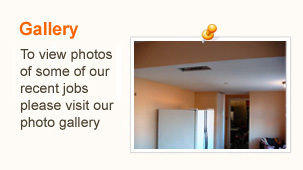 However, it is important to take photos of anything you are removing from the house that is damaged. We do not recommend that you take out clothes, food or items that you "think" you need. We also do not recommend that you move anything around. This could affect the insurance company's ability to accurately complete your claim. You may have been contacted by an adjuster yesterday, if not today should be the day. When they call you, set up a time to meet them at the house. Depending on the size of the loss they may have to send out a different adjuster. That will be determined after the initial on site appointment. If they decide to have another adjuster come out, No Problem!!! will meet the new adjuster on site. That could take an extra 2-3 days depending on the location of the new adjuster. Call No Problem!!! and ask us to meet you and the adjuster at the house. Depending on the severity this could take 1-2 business days to walk through the house. No Problem!!! will ask the adjuster questions about the policy, the contents and the next steps. This will help relieve the stress on you by letting us make sure all questions are answered. We can document all the answers we are given and email them or print them for your records. At this appointment, No Problem!!! will make sure that the adjuster agrees to have the house either packed out or everything cleaned on site. Whatever they agree too, we will make sure that we are within the requirements that they have set out. If they agree to have the house packed out and the contents cleaned and stored off-site, we will start to make arrangements to have the house emptied. It is unlikely that the initial appointment will get us approval to start any rebuilding or demo of the house. At this visit our primary goal is to get answers about contents, emergency/temporary living and timelines for the rebuild. The removal of items will start within a couple of days, but the pack out will start the next day if approved. We will take some clothes to the cleaners and have them emergency cleaned so you have clean clothes to wear for a week. We should be able to have them back to you today, if not in the morning. If your fire damage was not a major loss, then your adjuster may ask that No Problem!!! do the estimate in Xactimate and send it to them. Once we send them the estimate, they may or may not pay off of what we send them. Make sure that you are taking appropriate notes. This will help you remember what the insurance company said. This is a traumatic time and there is going to be some confusing times ahead. Call phone and alarm company. Let them know the house had a fire and ask them to temporarily hold the service if you are not able to live in the house during the reconstruction. If it is only content cleaning. Then it is easier to keep the phone and alarm active. If we were able to obtain permission from the insurance company to remove the contents of the house, we will start packing today. This could take 2 days depending on the amount of items in the house. Call mortgage company and obtain anything that needs to be done for them. They may have several steps in order to start the process of rebuilding. It is important to know what these requirements are. This is not needed today, but as soon as the insurance company provides the scope of work, we will need to send this information to the mortgage company via overnight delivery to make sure we are all ready when to it is time to start. This may be available online for print so, we can print it for you. No Problem!!! will have been in contact with you and your insurance adjuster. We may or may not have an idea of what the scope is. If the insurance company allowed us to remove the contents, your house will be empty at this point. Debris in your driveway and yard will be picked up, so it is not an eye sore for the neighbors. If this is a small loss, we may have already been given permission to start all of the interior smoke damage clean up. No Problem!!! will make sure that you have all of our information to send to your mortgage company. This will accompany any documents that they require in order to pay No Problem!!! directly for the services that we are completing. You/No Problem!!! may have received the scope of work from the insurance company. This could also take 2-3 weeks precise. Once we receive the scope of work then No Problem!!! will file for appropriate permits. No Problem!!! will order a roll away dumpster to be delivered to your home. WWe will meet with you to go over the scope of work to your home, to make sure that you understand exactly what the insurance company is expecting to be done. At that time, we will be able to discuss if you think that the insurance company is being fair with your home. If you do not, then we will contact the adjuster with your concerns and see if we can get a resolution. 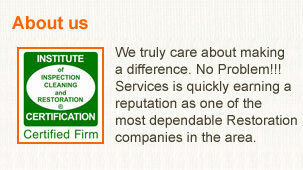 We have years of experience advocating for our customers repair approvals. We will work diligently to ensure you received all repairs you are entitled to. Your dumpster has been delivered. We have posted city permits on the door to start work. These will remain posted until completion. You have received payment from insurance company. We have sent the check in to the mortgage company with all the paperwork they require. The amount of time required to fix your home could be much less, 2-3 weeks or much more. The above is a general outline of how long it takes for a major fire loss. All the steps that are taken in a major loss are not the same in smaller ones, but the need for detail is. Even though the steps with the insurance and mortgage are the same, major loss requires more time for pack out, scope, city inspections, mortgage inspections, weather delays and such. In any fire loss, our goal is to work every day, all day, leave the home clear and clean at the end of each day, and get you back in your home as soon as humanly possible.